Published: Feb. 24, 2015 at 07:28 p.m. Updated: Feb. 24, 2015 at 08:34 p.m.
Now that Earl Thomas has gone under the knife, the question becomes when the Seattle Seahawks might get their All-Pro safety back on the field. NFL Media Insider Ian Rapoport reported that Monday's surgery and subsequent rehabilitation is expected to sideline Thomas for six to eight months. It's a timetable that puts Thomas' availability for the start of the 2015 season in jeopardy. Fortunately for the Seahawks, Rapoport has spoken with people close to the situation who believe Thomas will be ready on the early end of that timetable. 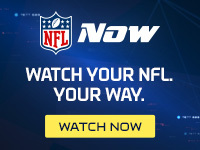 Rapoport said on Monday's edition of NFL Total Access that Thomas could begin training camp on the physically unable to perform list, but the internal belief is that he will be ready for Week 1. The Seahawks have work to do behind Thomas on the depth chart. Jeron Johnson, who served as the backup at both safety spots this past season, is a free agent. If he's not retained, Seattle will have to find depth through the draft or with a cost-effective free-agent signing. Thomas has been a bedrock of Seattle's secondary since entering the league in 2010. He's never missed a start in five seasons and played in Super Bowl XLIX's loss to the Patriots with both a torn labrum and a dislocated shoulder. Translation: Earl Thomas is not like you or I. His track record strongly suggests a fast recovery.